Immaculate Heart of Mary School is a Community of Faith in which school and parents join together in the formation and education of each child to achieve a balance of faith, character, and academic excellence. The Immaculate Heart of Mary School curriculum is both challenging and comprehensive while focusing on student learning. It adheres to the California State and Archdiocesan content standards, as well as the Common Core State Standards. 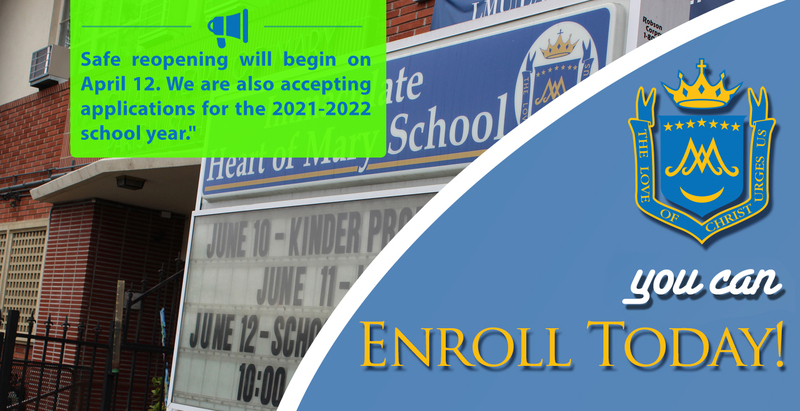 Immaculate Heart of Mary School offers a variety of extra-curricular activities for students to choose from to enhance their overall educational experience such as music, student government, and community service. Student Life at IHM . The IHMS Children’s Choir is composed of second through eighth grade students with ages ranging from eight to twelve. 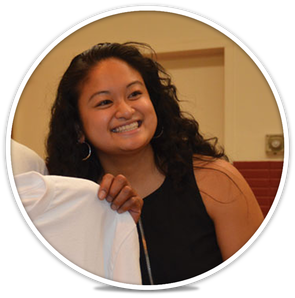 Our students go above and beyond the required service hours because they are very passionate about helping others. Student Council, a student government organization, gives students a voice in determining school activities and environment. IHMS is a great school. It is a Catholic school that makes great effort to cultivate and instill strong Christian values and academic excellence to each and every student. Sending my children to Catholic School has always been a priority of mine as a mother. A Catholic education instills the values and virtues I would like to see my children hold. In a Catholic school, the quality of education well exceeds the standards of other establishments, in my experience. Not only is my child receiving a quality education, but also an education in the faith that I believe in. 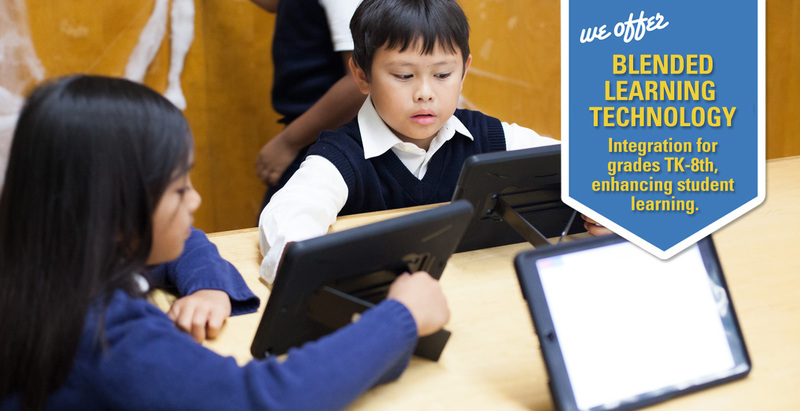 They also have amazing and loving teachers, staff, and principals who positively guide them. 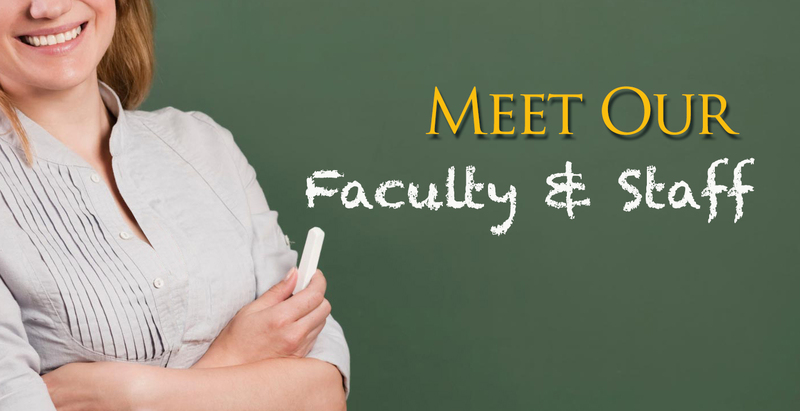 They offer academic subjects that will provide for them a good foundation in preparing for college. IHMS is also family-centered and involves the parents in their children's education. Like what you are reading? 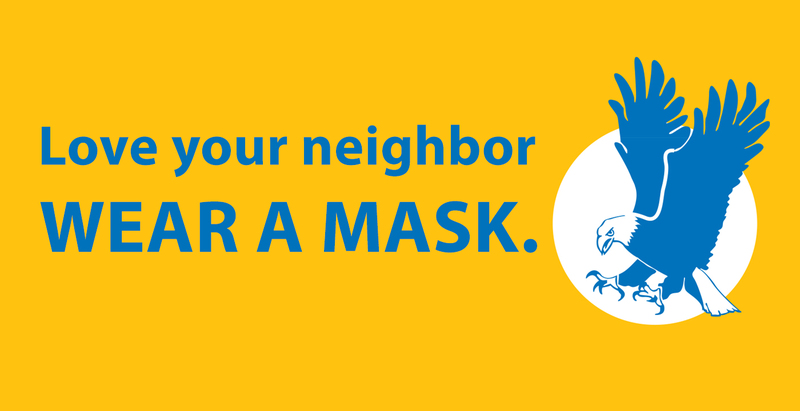 Want to request more information about IHM or visit our campus? Click here to take the first step towards enrolling your child. Message from the Principal . 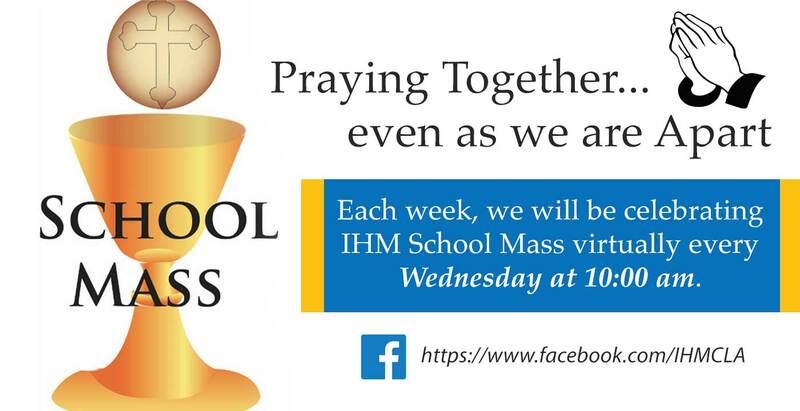 Welcome to the IHM website! 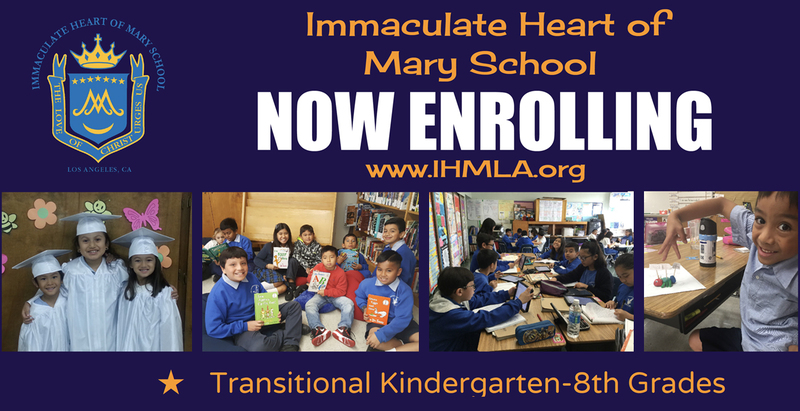 Children in the East Hollywood area of Los Angeles have enjoyed the opportunity to be students at Immaculate Heart of Mary School for over 90 years.